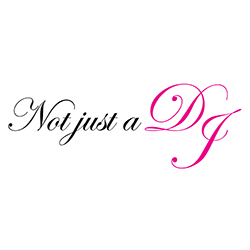 Not Just A DJ : A specialist Wedding DJ and entertainment company that specialises in providing custom entertainment at bespoke venues, from DJ's to Wedding props and lighting. A small team of world class pianists, DJs, saxophonists and bongo players available for weddings and events in the UK and Europe. Professional Violin & Cello Duo. 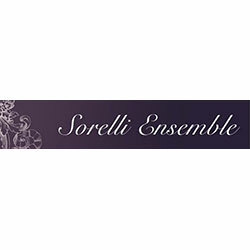 Julia & Sara make up the Sorelli Ensemble they are both passionate about providing the highest quality of delivering and presentation in their performance. 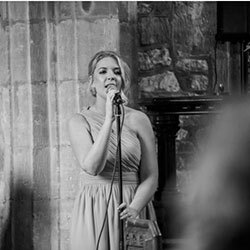 Hello, I am Rebecca, a wedding singer with over 8 years professional experience. I have provided music for many wonderful services and drinks receptions. I have a large repertoire of songs, but often learn songs on requests. Music adds an extra special element to your day, and I'd love to answer any questions you may have if you are considering a live singer. Pianist or Guitarists are also available to be added. Happy Wedding Planning.